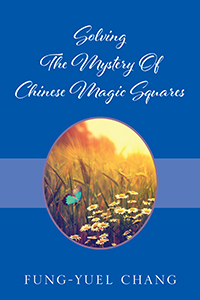 Fung-Yuel Chang’s “Solving The Mystery Of Chinese Magic Squares.” Chang has finally solved the 4000-year-old mystery of the Chinese magic squares, which has fascinated mathematicians for thousands of years. Chang has deciphered Yang Hui’s riddles, formulated techniques, and introduces the idea of Chinese magic square games. This fact-filled book will amaze and enthrall number enthusiasts of any age. 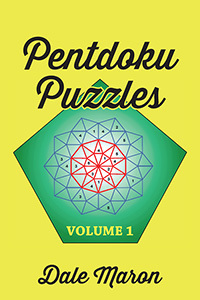 Dale Maron’s “Pentdoku Puzzles Volume 1.” Keep your brain sharp with this brand-new collection of puzzles designed to be solved with logic and deductive reasoning. You move past linear. Pentdoku Puzzles are fun, challenging, and totally unique. But watch out-they’re also addictive!